How good are fresh walnuts at the moment?? I have been eating my fill, fresh from a Batlow seller at the local trash 'n' treasure markets in Jamison. I bought a 1/2 kilo bag from him last week... used them all up... then today headed back and bought a 1 kilo bag. They are just. That. Good. 1. Date and walnut energy balls, some rolled in crushed walnuts, some in coconut. I reduced the almonds in this recipe and added walnuts, and ditched the pistachios as well as a covering, with crushed walnuts. 2. 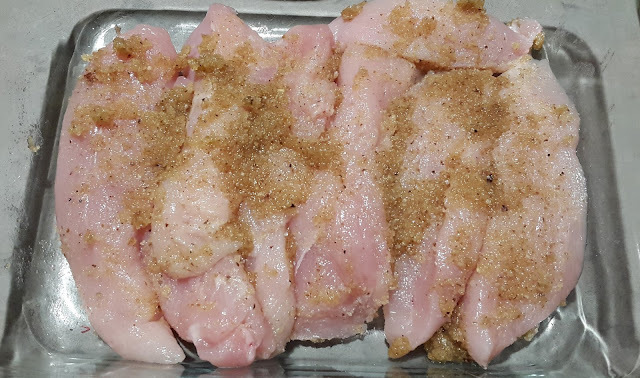 Sprinkled on work salads, along with lettuce, mushroom, capsicum, tuna and ranch dressing. Walnut pesto you say? In Italian its pesto di noci and its delightful! I made my own basil pesto a few months ago when my basil was in full swing, but alas on account of it being winter here, the frosts were not kind and the pesto has long since finished. So, not wanting to head out to the shops, I opted for a purely nut based pesto. 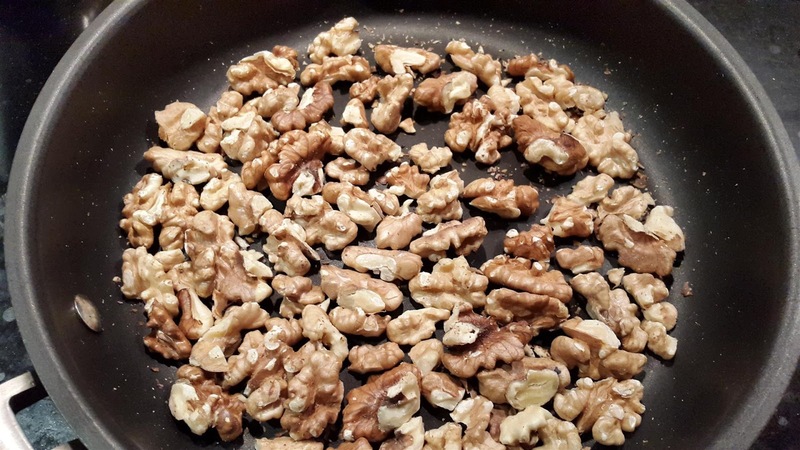 Without following a recipe, I toasted my remaining walnut pieces in a small fry pan, so it was enough to cover the base of the pan. I toasted them for a few minutes, until they started to release their aroma. I then popped them into a food processor, along with a handful of pine nuts (what was left in the bag), a generous sprinkling of grated parmesan cheese and a crushed garlic clove. Whizz this around for a bit to break down the walnuts. 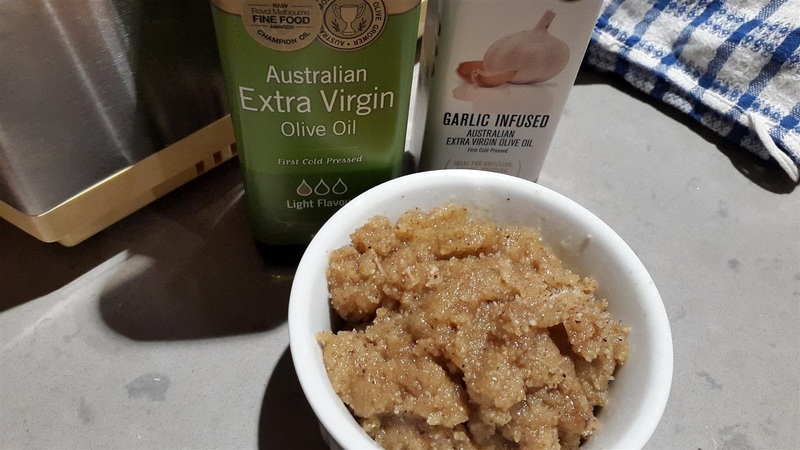 Then, with the motor running in the food processor, I added a steady stream of Cobram Estate garlic infused olive oil, and then a longer stream of light olive oil. Enough for the mixture to begin to form a paste like ball, but not to be slushy. I marinated a sliced large chicken breast in a couple of tablespoons of the walnut pesto, and popped this into the fridge for about an hour. 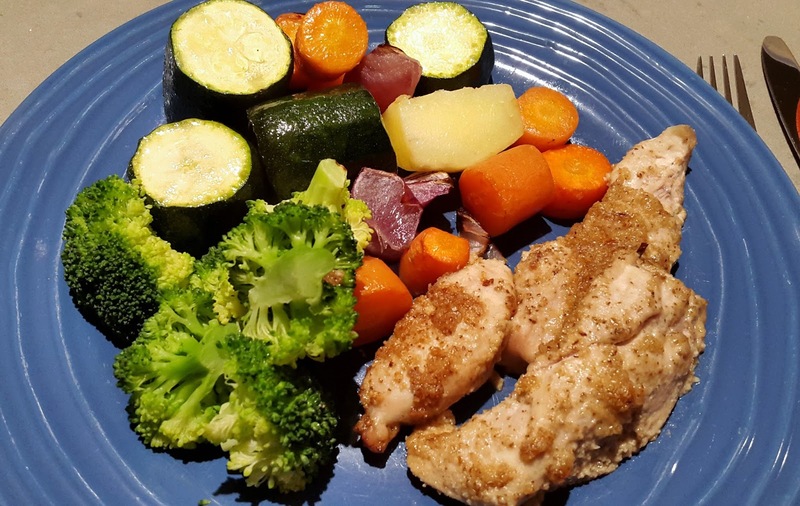 I then baked the chicken along side a medley of other vegetables; potato, carrot, Spanish onion, zucchini and broccoli. The pesto formed a lovely crust on the chicken, and its delicate flavour complimented the moist chicken. Next on my list for the remaining pesto is a creamy pasta based dish, something like this one from BBC Good Food.